Data Typing is undoubtedly among the most sought after job opportunities on the internet. Data Entry is actually a task that involves the transcription of data into some other type, which is normally a computer program. Despite the fact that data entry is essential, it is also a non central procedure that can be simply outsourced. Data Entry is one particular of these jobs, which incorporates providing and documenting all kinds of data for a specific purpose. Data Entry is widespread for organizations that has to deal with paper documents and forms, such as invoices, application forms, claim forms, loan paperwork and many others.In an organization where by volume Data Entry is concerned, outsourcing seems to have turned out to be a viable alternative. In almost any organization where Data Entry is practiced, a considerable amount of emphasis is laid on typing services and speed so that the organization can meet with the time scheduled online or off the internet data entry job requirements. Thus, majorly we focus on excellent key board skills.Great typing speed is a commodity, however a great typing speed along with intelligent data entry is exceptional attribute. Our accuracy rate for on-line and offline data entry is 99. E Virtual Services offer online typing services, thus reducing your overburden in very affordable prices. The actual utilization of spread sheet software for data entry is incredibly popular in numerous kinds of organization. World Wide Web Data Entry is a cluster of self motivated techno-inventive heads. The beneficial thing about outsource Data Entry is that your organization doesn't always have to allocate specific people to be able to execute the job. Generally, Data Entry is an integral component of the overall document encoding as well as data capture process. Beneficial assistance for producing the most of this requires an Supplemental training for Data Entry and is usually carried out at work, that enables opportunities for progression within an organization. If on-line Data Entry is not necessarily an individual's core businesses pursuits then outsourcing on-line data entry is the worthwhile option for the organization. On an hourly basis , the rate for data entry is actually very low.Hence, Data Entry has become a substantial industry nowadays. 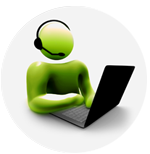 As this zone of expertise requires a skilled and specialized approach EVS Data Entry Assistants are the best you see.